Choosing a funeral home or cemetery can be an overwhelming decision, especially at an emotional time. That's why it is important to know that there really is a difference. 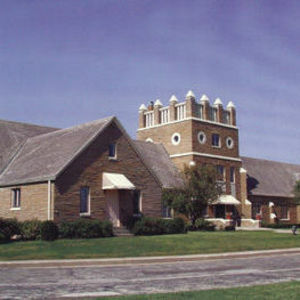 Floral Hills Cemetery was founded in 1929, and the funeral home was added in 1954, making Floral Hills Funeral Home and Cemetery the first funeral home/cemetery combination facility in Kansas City. This means families have the added convenience of making all arrangements from one beautiful location. Today, the staff continues to provide families with quality, compassionate care. At Floral Hills Funeral Home & Cemetery, we offer complete funeral services and cemetery options for all faiths. We are proud to also offer aftercare services including community bereavement programs. Our spacious 14,000-square-foot funeral home includes four visitation rooms, two arrangement rooms and a chapel that can accommodate 150 guests. Burial options include traditional ground burial, mausoleum entombment, cremation niches and scattering gardens. Fifteen different statues/monuments are located throughout the cemetery on 130 acres of ground, and our Memorial Day flag display is the largest in the United States. Ample parking is also available to accommodate friends and family. Families can be assured that they will receive personalized, individual attention when making arrangements with Floral Hills Funeral Home and Cemetery. Our professional and caring staff members understand that the loss of a loved one is a very personal experience, and are here to help. At Floral Hills, we believe that every life is unique, and every funeral should be too. We celebrate life. And for those who like to plan ahead, we offer The Simplicity Plan® prearrangement program—an easy way to handle an important responsibility. Please check back soon for full obituary. Stanley R. Sorenson passed away January 9, 2018. Visitation will be held from 3:00 - 5:00 pm on Sunday, January 14th at Floral Hills Funeral Home. Funeral Services will be at 10:00 am on Monday, January 15th at Floral Hills. Burial will be at Floral Hills East Memorial Gardens. Check back for the full obituary notice. Lois Elnora Pendergraft, age 90, passed away January 4, 2018. Memorial services will be held at 2:30 pm on Sunday, January 14th at the New Haven Seventh-day Adventist Church, 8714 Antioch Road, Overland Park, KS. Arrangements under the direction of Floral Hills Funeral Home, KANSAS CITY, MO. Bobbie Anderson, age 82, passed away November 30, 2017. Celebration of Life will be 4pm, Tuesday, December 5, 2017, at Susquehanna Baptist Church 17800 E Susquehanna Ridge, Independence, MO 64056. Shirley McComas, age 86, passed away November 27, 2017. Visitation will begin at 1pm on Wednesday, November 29th, with burial following at Floral Hills Funeral Home and Cemetery, 7000 Blue Ridge Boulevard, Kansas City, MO, (816) 353-1218. Linda June Duckworth, age 72, of Kansas City, MO, passed away on Nov. 17, 2017. Survived by companion Troy Duckworth Jr., children Richard Duckworth & Cindy Wilson, and 4 grandchildren. Arrangements under the direction of Floral Hills Cemetery, KANSAS CITY, MO. Richard Garrett Carrier Jr., age 78, of Climax Springs, MO, formerly of the Kansas City area, passed away November 11, 2017.Services are private. Douglas T. Allen, age 70, passed away November 6, 2017. Private family services will be held at a later date. He is survived by two brothers, Greg Allen and Steve (wife Beverly) Allen; Nieces, Elizabeth Koepp and Martha Allen; Nephew, Sam Allen; Great nieces and nephews, Jonas Koepp, Sophie Koepp, and Lucy Keopp.